Many people with periodontal disease are given pause when they consider dental implants in Santa Monica, seeing how they worry the cost will be too great. 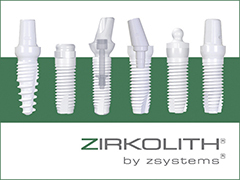 We want to assure new patients that even though the cost used to be prohibitive for many people, today it can be done in all-in-one procedure, while our resident team of experts place dental implants in West Los Angeles for a fraction of the price that used to be quoted as little as ten years ago. A pervasive myth is that dental implants are extremely expensive; but you should be aware that putting a price on your health and wellbeing is a difficult concept. Without dental implants, not only will your appearance be less than it could be, your health can suffer, as well. At Beverly Hills Periodontist and Dental Implants, we are thrilled to offer you all-in-one procedures that place permanent implants in your mouth that give you a healthier smile for less than you thought you’d end up paying. We also help you understand the full cost, upfront, with no hidden fees or charges. Think about it: your mouth is an important reflection of who you are, and when you smile, you give a message about yourself. Do you want the message to include broken, fractured and otherwise damaged teeth? With the periodontist Santa Monica trusts by your side, you can get the mouth and teeth you have always wanted. Call us today for more information!